Read on to find out how I can now monitor my home from anywhere using the Hive View. If my kids thought I had eyes at the back of my head, now I actually do! By now you should have seen a trend forming, I'm just in love with my smart home and all the smart devices that Hive has to offer. You can go back and read about how they made my Halloween even spookier, and how my Holidays was made so much more enjoyable. Now they've just outdone themselves with the Hive View, their brand new "smart" indoor camera. I'm not a paranoid mother by any chance. I grew up in New York City so had gotten quite used to the noise and the daily sirens. However, when we moved to Colorado it was an entirely different ballgame. It's like comparing apples to peaches. Whereas Brooklyn was loud and noisy, Colorado Springs is very much the polar opposite: It's quiet, sometimes too quiet. We have amazing neighbors and even a neighborhood watch, but guess what? I also have children and pets. Children who are almost always up to no good and we all know the infamous "I don't know", or the "It wasn't me". I can't begin to tell you how many times there has been an accident and the "not me ghost" did it. Or the snacks mysteriously disappeared from the refrigerator and once again the "not me ghost" did it. Who else can relate? Well no more! The Hive View is a life saver and according to my kids a great "tattle tale". 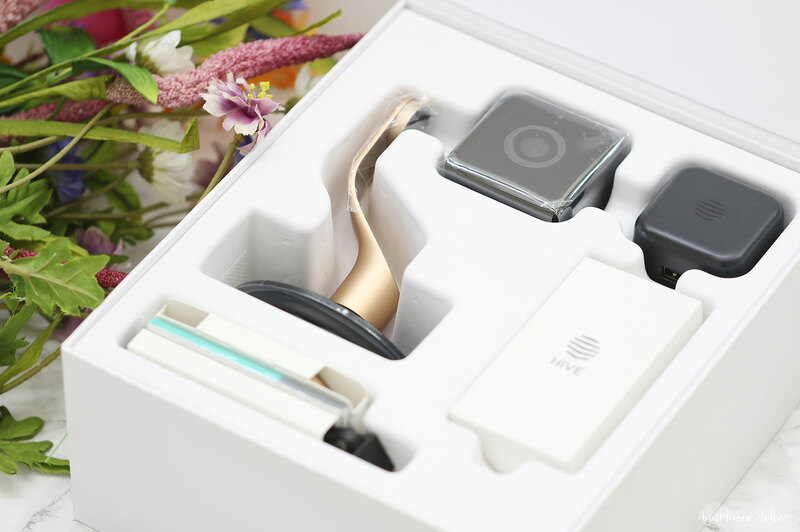 From the moment you open the box you can see how stylish your Hive View. In collaboration with industrial designer Yves Béhar, Hive View was made to fit seamlessly into your home and is available in both black & brushed copper (which I own) or white & champagne gold. Set up is super easy. All you need to do is plug it in an available outlet and set it up in the Hive app via bluetooth on your mobile device. Once connected you can then livestream no matter where you are in the world via the app in 1080p HD. The video is clear and I was amazed at how well it picked up on the tiniest sound. I placed the camera upstairs and I could hear the kids speaking downstairs. It even notifies you when motion or sound is detected by sending a notification to your smartphone. Since I have pets, I can choose what I want to see by setting my Hive View to only detect humans and ignore pets entirely. The Hive View can be wall, shelf or magnetic mounted, but I personally prefer the magnetic mount so that I can easily take it from room to room. It's small enough to fit in the palm of your hand, but the field of view is amazing! We're talking a wide 130° field of view. It allows me to see everything! While you can keep the Hive View plugged in, it does come with a 1-hour built-in battery life for when you need to move it temporarily. 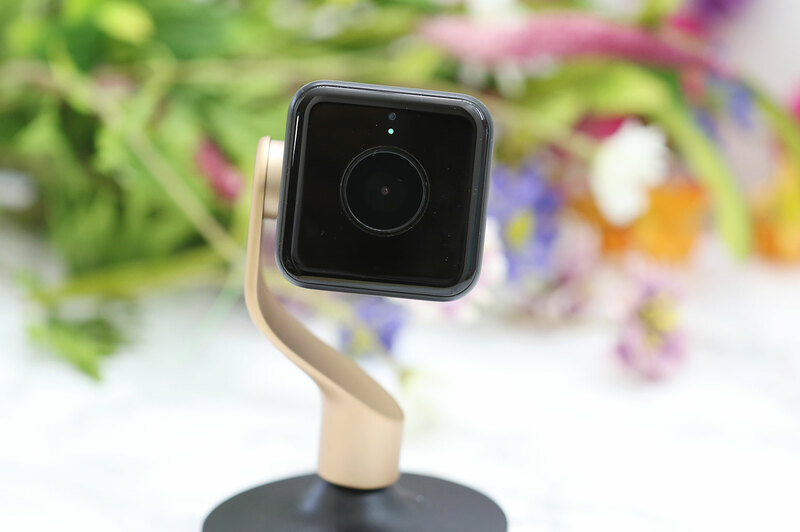 The Hive View is the next best thing in home security or if you're just looking for piece of mind. And I have a special offer for you. For all AnnMarie John readers, Hive is offering a 10% discount. Simply use code: ANNMARIE10 and let Hive View give you that piece of mind. What a great little device. And like you I grew up in NYC where it was very noisy. But moving out to Long Island was definitely an adjustment for that. Still, will have to check this out now and appreciate you sharing about Hive here with us. Oh you're very welcome. I have to admit that I sometimes miss the noise. It's one of the reason why I have to either have the TV or some sort of noisemaker while I sleep. I can't sleep in absolute quiet. You'll love the Hive View. I think when we get a house I'll definitely be getting a system like this because it'll be so different than when living in an apartment and I'll want that added security of knowing things around me. You can get it while you're in an apartment too. It can be used no matter where you are. You can even take it to a hotel room and set it up. Just a tip. This would be awesome to have so we can watch our dogs in action. Seriously, everyone needs one of these. I would also love to watch my front porch, bc I get so many packages daily. I have it turned off from my pet alert but you can certainly use it to watch your dogs when you aren't at home. I know that mine get into all kinds of stuff when I'm not around. 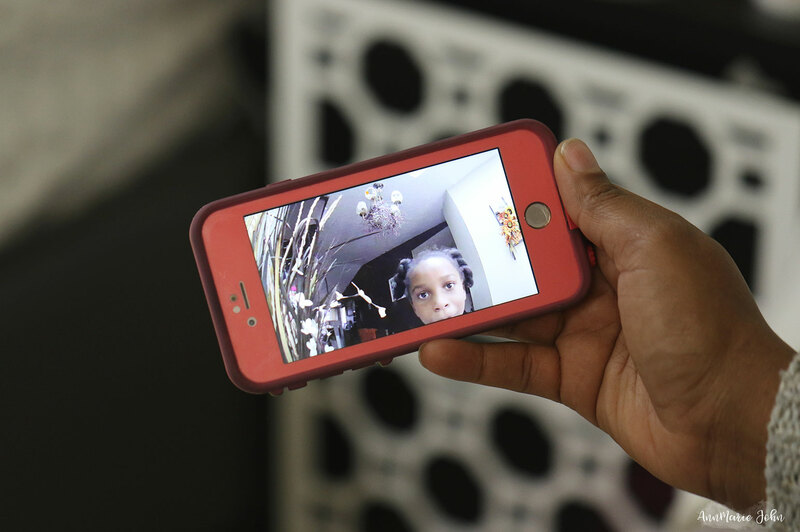 We could definitely benefit from having a few indoor cameras placed throughout our home. I love that there is an option to ignore pet movement, thus limiting alerts! Yes I love that myself too. When you have as many pets as I do, you'll be constantly getting alerts and I would prefer not to. Home security is something I have to look into? Is there a monthly fee? There are so many different options that it can get kinda confusing. i will look into HIVE thx for the recommendation. The Hive Home Ecosystem does have a fee, and you can add this onto your system. The only fee that is associated with this is a $5.99 fee for monthly playbacks, which you don't have to take. I need this for my two youngest kids. They are always gettimg into stuff and breaking it! Hahaha sound like my family here. I finally found out who would go into the refrigerator at night and drink all the juice. The "not me ghost" now has a name. That looks like an amazing little gadget to give us the peace of mind we need. I will also recommend this to my friend who worries that something might happen to her child while she is at work. Her nanny is a good person, but I guess you can't take away the worry of leaving your child with another person for 6 hours. I totally get that. When I had my son, he would stay with a babysitter and he would scream whenever he had to go to her house. I knew something was wrong, but just not what. I wish I had this then so I could watch what was going on. I eventually switched to a different sitter and it worked out for everyone. I've been meaning to convine my hubby to get oen of these security system. IT seems so easy to use, plus so many funny things happening it's best to be safe. Oh it's a breeze to set up and works really well too. I should have mentioned the night video recording. It's as clear as day. The night vision works amazingly well. What I like most is the Hive's portability. I would go for the magnetic mount too if I had one. I can't believe it can provide that much coverage for a little device. I am going to check on this soon. Oh the portability is awesome. It's one of my favorite feature as well. I love being able to move it around. I would sometimes take it downstairs when the kids are playing in the family room so I can keep an eye on them. Oh I think it would be. Guess I started talking about it at the right time. Check it out and let me know how you like it. That's pretty awesome. There are so many reasons I'd want it for our house. And yes, like Kim, I'd love to see my pets during the day. Ha! Nothing wrong with that at all. I'm all for watching not just your kids, but your pets as well. After all pets are family too. This sounds amazing! 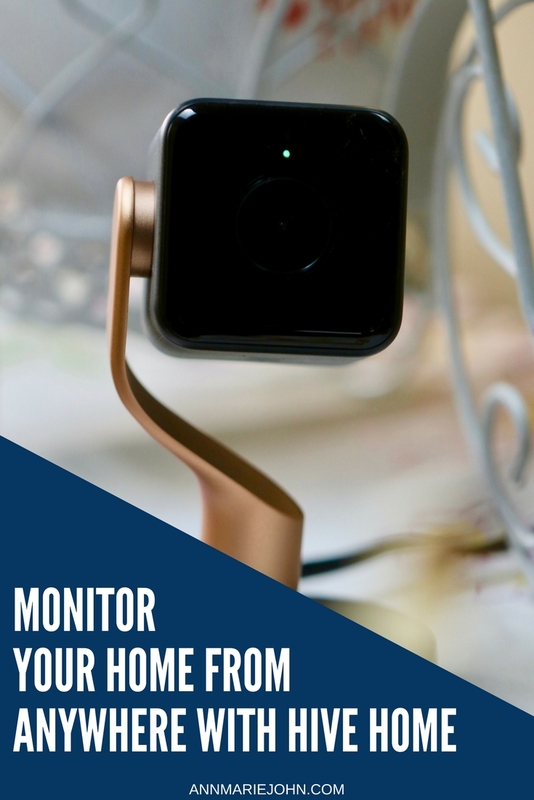 We travel a lot, and this would be great to keep an eye on our house while it sits empty - or to keep an eye on the cat as she sleeps places she knows she shouldn't! I bet this provides great peace of mind. Your cat sounds very much like my Cross. He knows that he shouldn't go on the piano, but still we would find him sitting on there. You would love Hive View. What an amazing little device, we all need this for security and peace of mind. I am checking out this Hive and would probably consider getting one. I think you would enjoy having it in your home. It does give you that peace of mind of leaving your home and not knowing what's going on. It also blends so effortlessly in with your decor that you may not even notice it. That device sounds awesome! I can't imagine moving from Brooklyn to Colorado! It must have been such an adjustment. I think that I would definitely consider getting one for my home. And the price isn't bad too. I mean you really can't put a price on piece of mind right? It really was and even though I love Colorado, there are still times when I yearn for Brooklyn. It helps that it's only a car drive or plane ride away. And you're definitely right, you can't put price on piece of mind. I spy on my kids all the time so you won't be alone. I have yet to go on vacation and use it, but I will be taking a short trip soon so will be trying it out then. Such a great gadget to have. It is very affordable as well. Love that they give a double and single option. Great post! I'm a bit confused on your double and single option. 🤔 It is however a really nice piece of technology to own. That's cool that you can basically check on your home from anywhere in the world. I could see where pet lovers would use it to check up on them throughout the day. That's what I really love about this. My home is just getting smarter and smarter. Not only does Hive make it possible, but now with this I really don't know how they can outdo themselves. 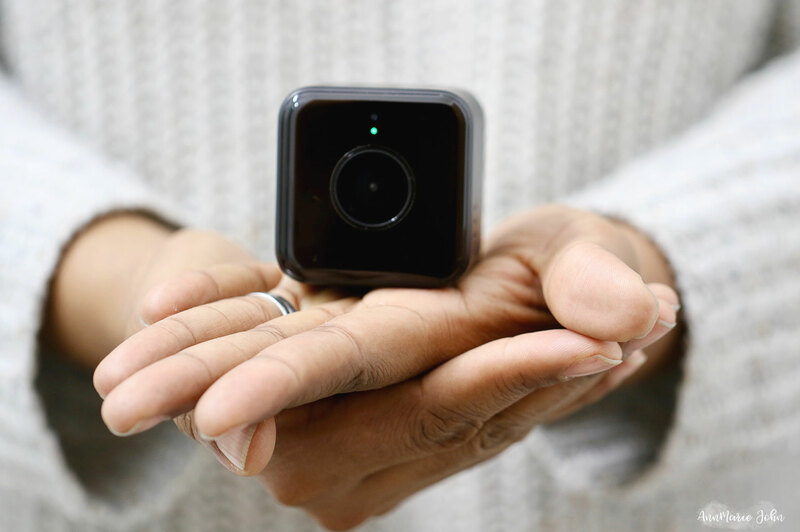 This is brilliant for home security and I would want to have this device too especially that setting up is not a complicated mission and that it is portable. Yes, it is super easy to use. It's like just plug and play. I hate gadgets that have me jumping through hoops and this one totally didn't. I definitely would like to know what my dog is doing during the day. My friend used something similar to have in her basement so she could see what her kids were doing when friends were over. I remember the days when I would use a baby monitor to keep an eyes on the kids, but that was so bulky and I could only use it at home. This I can use anywhere! I'd really like to be able to monitor my home like this. I live alone and am always concerned about someone breaking in and me walking in on them. This would be a great piece of mind. This would be perfect for you!!! I can't imagine living alone, although I know that day would come soon enough, but having that piece of mind will make you feel so much better. You should check out Hive Home. This is something my husband and I have been looking into, but there are a lot of brands out on the market now. Thank you for your review! You're very welcome and you can visit their website and get more details on how everything works, including the price etc. this looks like a great tool to have in your home. I haven't heard of this brand before. It is. Hive Home was introduced to the US last summer and since then we've been using it. It has been working amazingly well and now I don't know how I lived without it. I love this. As a family, we are really big on security so this is something I would definitely be interested in looking into a bit more. Then I would say that you would enjoy having Hive Home and their Hive View in your home. You would also love having their products in your home. Home security is so important for families. and this device looks really great. Will share this to my hubby. It's not just home security, but having a smarter home is something that most people have been looking into lately, and Hive Home solves all your "smart home" needs. I would love to have this for my home! Safety is always at the top of my mind with three kids. This would be perfect. While it's not really "home security" as in you won't be able to have the police dispatched to your home if something happens, it will alert you to any event and then you can contact the police on your own. It does give a bit of piece of mind, because you get instant notification and can see what happens first hand. I have seen so many amazing Hive products out there. This looks like it would totally help ease my anxieties when I leave home. I'm pretty sure that it will. I love all the products that Hive has to offer, but I have to say that is by far my favorite. This is great! I'd love to have this in my home and I really like how small the actual camera is. Yes the camera is really small and unobtrusive. It also blends seamlessly into your decor as well. You just choose which design you prefer. This is an absolute must have for any home with kids I think. I've had to fire 2 nannies for stealing - money and my baby's food. It was a very traumatic experience for us. And now I have resolved to never let a stranger into my house without having a device like this first. Oh my goodness! I can't imagine what that must have felt like. I've never felt comfortable with anyone in my home, so I've always taken my kids outside the home to babysitters and daycares. Having this will surely make you feel a lot more secure I would think. It is great device to keep an eye on your home while you are away, at work or maybe at a vacation. It's great for all that and more. What do you currently use in your home, or are you considering something such as this? This is pretty cool. We have this in our bucket list to install a security monitor like this-- especially to use when we're away from home.